Note: This post originally appeared on UX Planet. A critical component to creating an excellent user experience inside your app is personalized content. UX design can be key to making a great first impression with your users, or even getting the opt-in on app permissions. Personalizing content is equally important. In push notifications, personalization can boost open rates by up to 800 percent. When people talk about personalization on mobile, the conversation is often focused around messaging. Including a user’s name or location in a push notification is a good start, but personalization can also be deeply integrated into the UX design to go beyond just a user’s name. One retailer was even able to increase new visitor conversions by 18 percent in the first two weeks after adopting a personalized mobile experience. 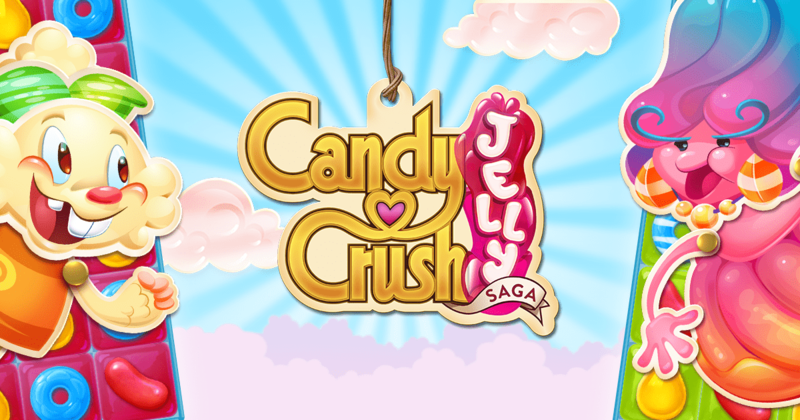 The sky’s the limit for what you can dream up, but here are some examples from apps to get you started. 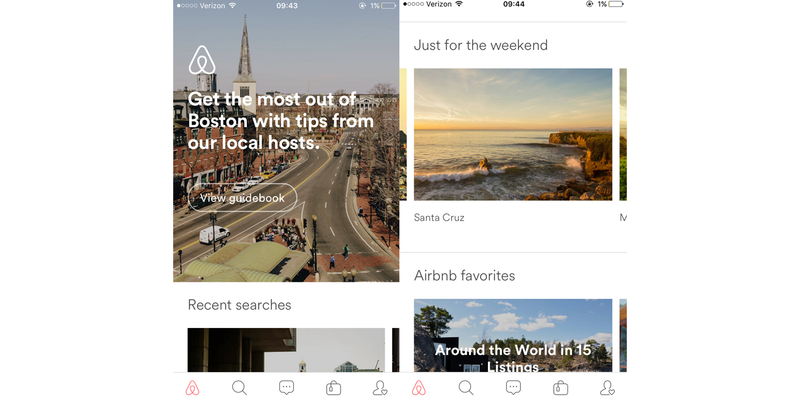 Airbnb’s home page is a prime example of prioritizing personalization in UX. I have an upcoming stay at an Airbnb in Boston, so the first thing the app offers on launch is a Boston city guidebook. Further down, they have a “Just for the weekend” carousel, which recommends locations that are within driving distance of your current location. Besides these examples, travel apps can also provide activity suggestions, such as places to eat (bonus points for timing your suggestions based on the time of day, i.e. brunch at 11am), or suggest popular local activities based on user reviews. Clearbridge Mobile reported that 75 percent of consumers prefer that retailers use personal information to improve their experience. Brands have the green light from users to integrate personalized content into the mobile experience. Breaking News’s “Nearby” tab creates a home dedicated to local news updates. Not only does it report local reports from news organizations, but Breaking News also encourages people to submit their own tips, such as delays, flooding, or police activity. A recent Forrester report revealed that 49 percent of users opt-in to receive notifications to get timely information or emergency alerts. 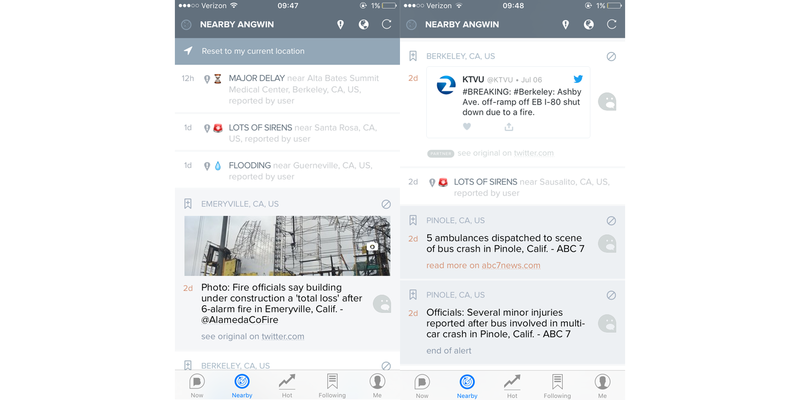 News apps can provide relevant info by highlighting up-to-the-minute local alerts. Amazon’s “Related to Items You’ve Viewed” is a great example of content customized to individual users. 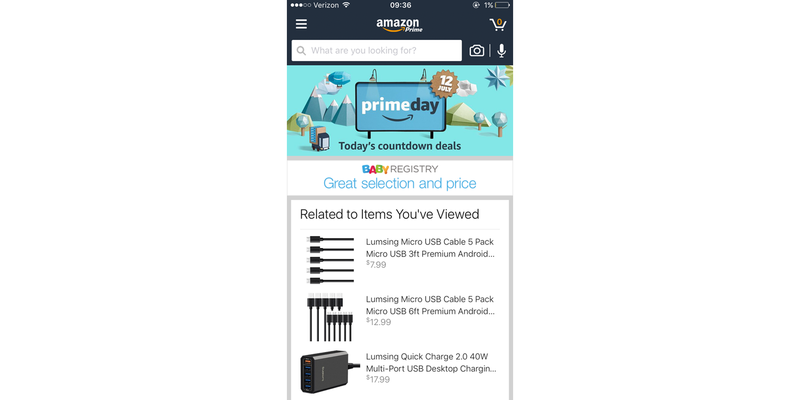 Besides the latest promotion or banner at the top (in this case, Amazon’s upcoming Prime Day), the next headline you see on the homepage is, “Inspired by Your Wish List.” It’s no wonder Amazon has been a massive mobile success. 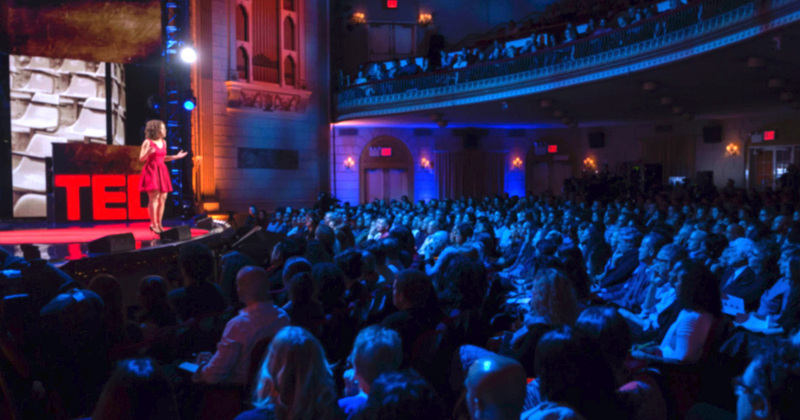 Grab your users attention and draw them in by labeling these personalized recommendations. Retail and e-commerce apps can follow Amazon’s example by including product recommendations based on previous browsing or purchase history. Featuring these items prominently, and preferentially to more generic deals or offers, creates a tailor-made experience for the individual shopper. Plus, according to Invesp, 56 percent of online shoppers are more likely to return to a site that recommends products. 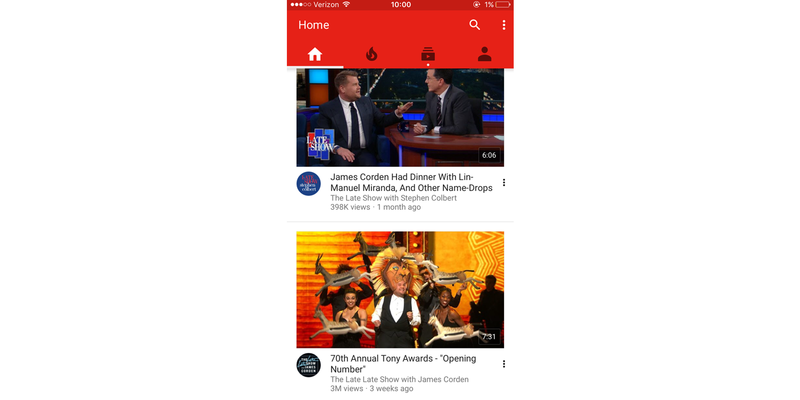 On YouTube’s app home screen, it personalizes content without announcing it by automatically serving up interesting content based on videos you’ve previously watched. In this case, YouTube knows that I have a soft spot for James Corden and the Tony Awards. In contrast to headlining the personalization like Amazon does, apps can curate their homepages based on user behavior, without calling attention to the fact. Viewers will certainly notice customized feeds, but may be more likely to digest it if it’s subtle. Facebook lets its users choose the content that they like best. 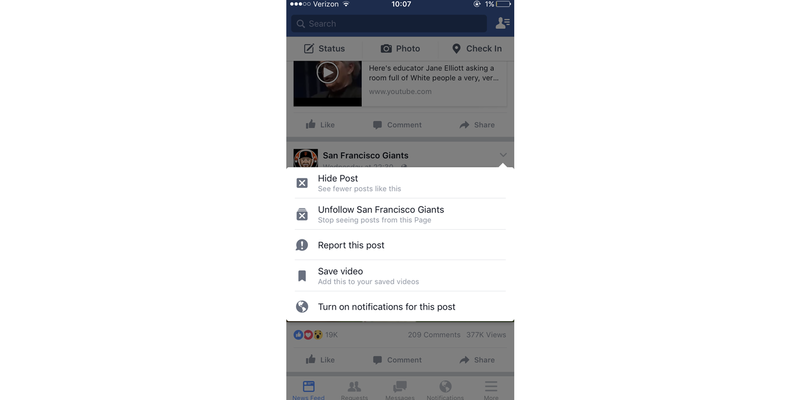 You can prioritize which posts you’d like to see first, and Facebook allows you to turn on notifications for individual people, pages, or posts. This kind of design encourages personalization from the people who best know what they like — the users themselves. Timeline customization makes personalization a cinch by letting the users pick what matters to them. Users may be drawn back to your app if they’re confident that the content they see will be the content they want. These are just a few examples of the many ways that personalization can be completely integrated with UX design. 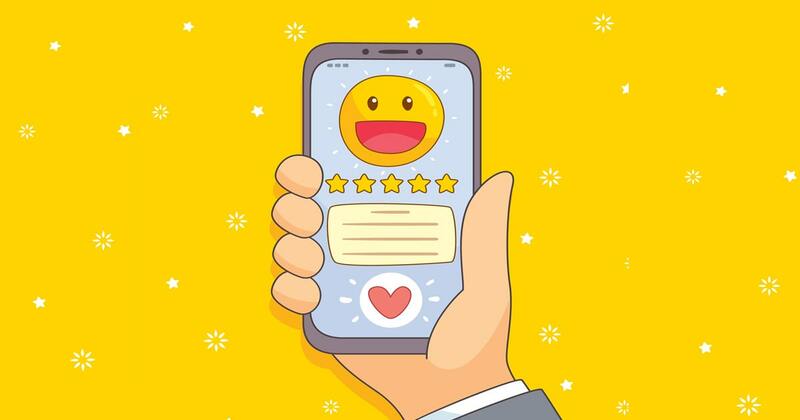 App makers can choose to highlight personalization (see: Amazon), integrate it seamlessly (see: YouTube), or let the users take the lead (see: Facebook). Leanplum is the most complete mobile marketing platform, designed for intelligent action. Our integrated solution delivers meaningful engagement across messaging and the in-app experience. We work with top brands such as Expedia, Tesco, and Lyft. Schedule your personalized demo here.